New Delhi : • Prime Minister Narendra Modi and Nawaz Sharif on Friday spoke about trial on Mumbai blasts master mind Lakhvi as both India and Pakistan agreed to cooperate in eliminating terror from South Asia. • Bilateral talks between Modi and Sharif lasted for about one hour, few minutes more tham schedule. • National Security Adviser Ajit Doval and his Pakistani counterpart Sartaj Aziz will meet in New Delhi to discuss all issues connected to terrorism. 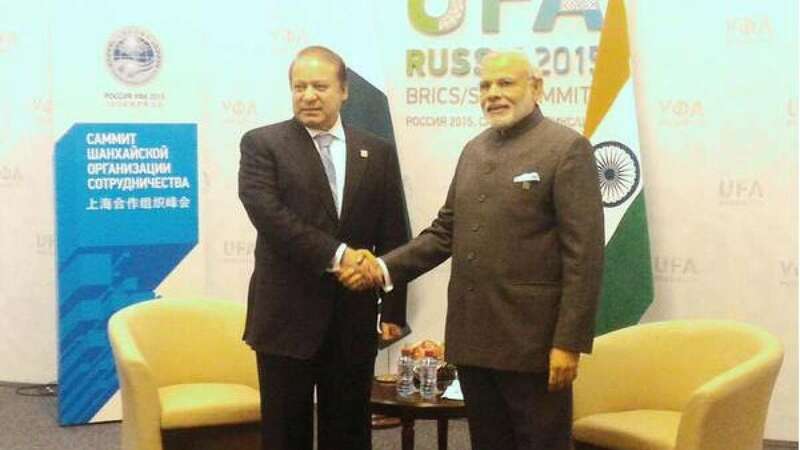 • Modi also accepted Nawaz Sharif’s invitation to visit Pakistan for SAARC Summit next year. • Both the leaders are in Russia to attend 8th edition of BRICS summit.